Block eight the Cocoa Puff by Melissa Green. 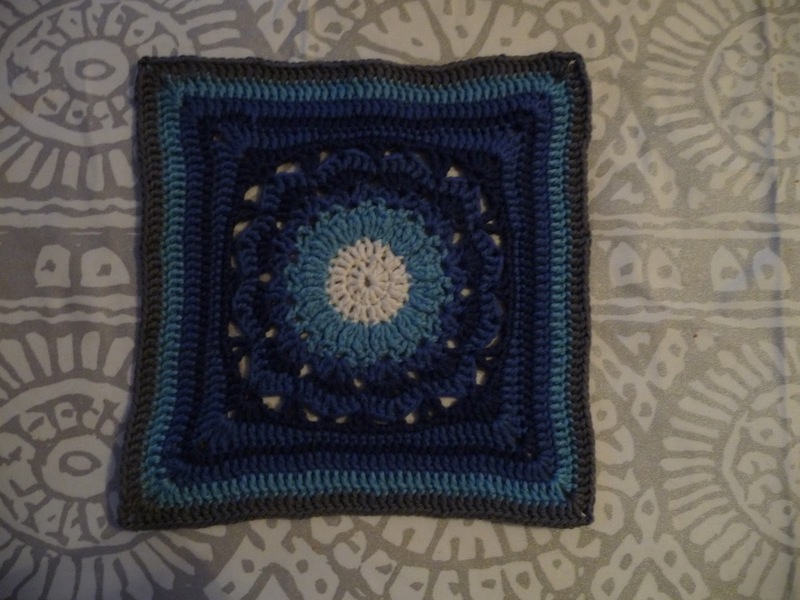 Unfortunately I have no really good picture of this block, but as I recall it was really easy and fast to do. 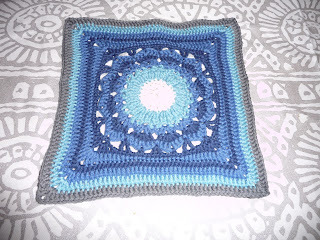 I love the colour combinations in this square. I made the first nine or so squares in the order of the CAL but after this I started to do the easier or more fun ones first and wait with the harder ones. And we did after all not make all of the squares in this CAL. When my cousins and I were small we ate lots of Cocoa puffs for breakfast in the weekends before the adults got up to bake bread, we sometimes ate them without milk and pretended they were beans. I think this square would have been cool with cocoa brown, white and milk chocolate brown to really fit its name. This square weighed 29 grams and after several rows it was 21x21 cm as the others. 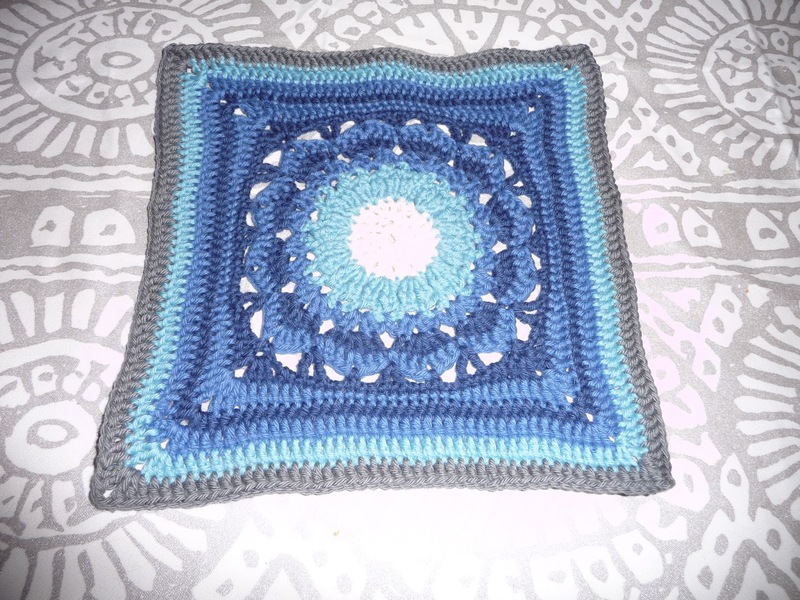 So many of these squares look like flowers so I am sure it could be made into a field of flowers. Mimle does not like it when I have the squares on the sofa and regularly chucks them on the floor. Sillybun.